Feel free to use the signature too! 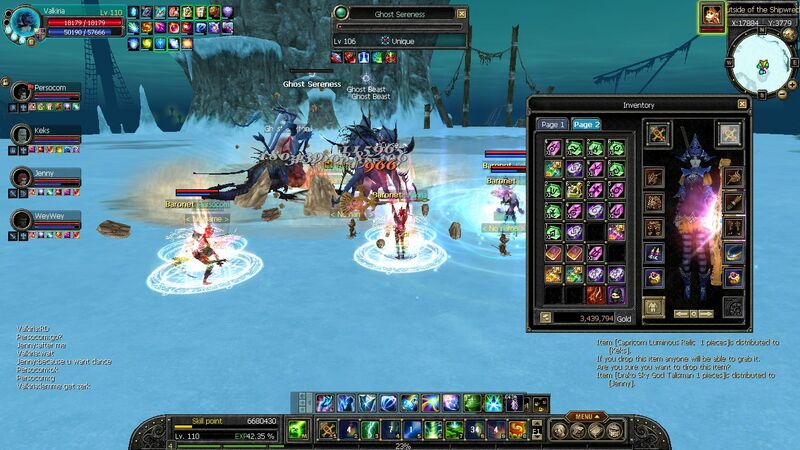 •	Random matching arena (8v8): Players apply individually and randomly are divided into 2 teams upon the start. The scale of the battle is by default 8v8 with a minimum of 4v4. Important: A item-free-for-all-party is required to ensure the team is limited to 4 players only. 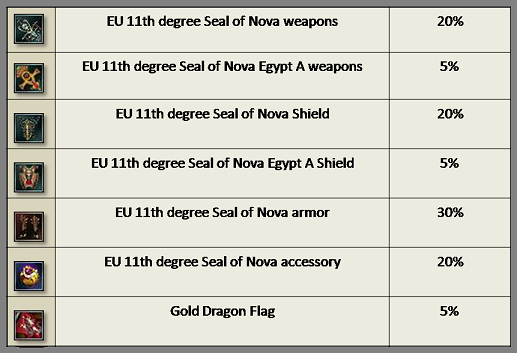 Seal of Nova Egypt B weapons added. 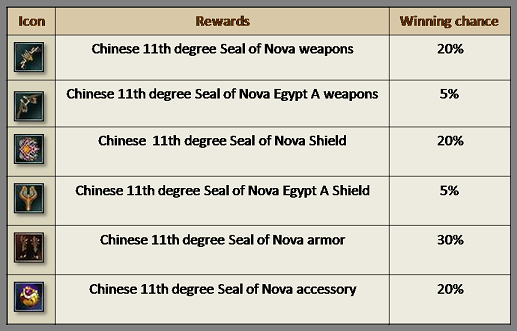 They have the same strength as Seal of Nova Egypt A weapons. The goal is to have more diversity at weapon's look. New Avatars added to Avatar NPC. 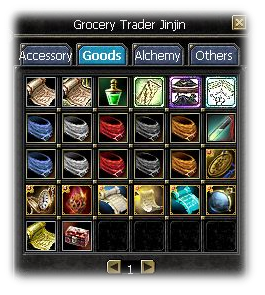 Sockets are not gained from unique drops anymore. 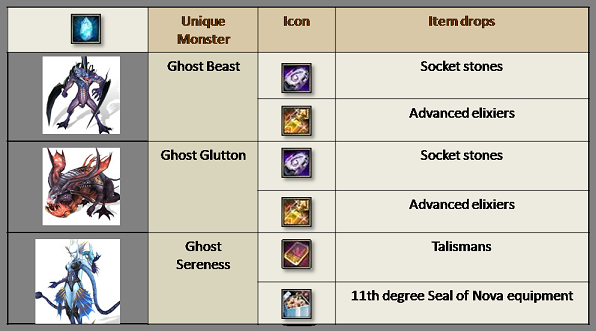 You now can obtain Sockets from NPC. Forgotten World Speedrun Ranking added. Players now find a speedrun ranking for the TOP5 fastest Forgotten World runs on the website. It currently works for ☆1 and ☆2. Higher grade ranking is under development. Can you make your way to the TOP5? Last edited by Valkyria on Mon Oct 15, 2018 4:02 pm, edited 11 times in total. It is completely free to play. No donations required. BA has 4v4 mode, so you can have fun with smaller teams too. Oh, long time no see. Did you join? Yes, i'm playing right now there. This looks kinda fun, will check it out. Nice. We really need more players to have active BA. I played 2~3 hours with my friend, we did a 2* fgw. Unfortunately we don't have much time to play now as we had in the past, but for sure we will join there eventually to do some stuff. Great! I was not too active either. Anyway, there probably will be a discord chat soon, so activities between players can be organized more easily. It's getting more active, feel free to come. Don't worry, there aren't any catch-up problems or pay2win stuff. You can simply enjoy the best Silkroad activities! Some socket buff were causing disconnects. 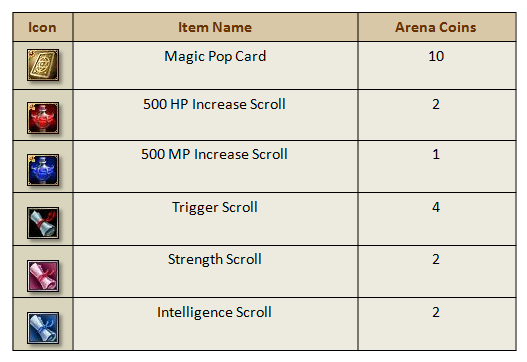 Thus they got moved to skill bar with a new tab called "Socket". Somebody still playing? Again after few years of not playing sro, there is always something that brings back to this game. Every damn time. 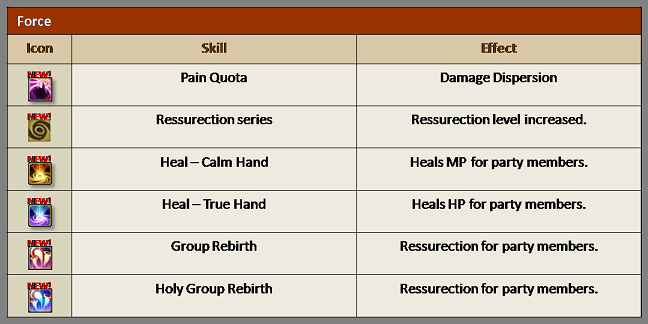 This server looks like a good option for people, who just cant grind every day like it was time back. 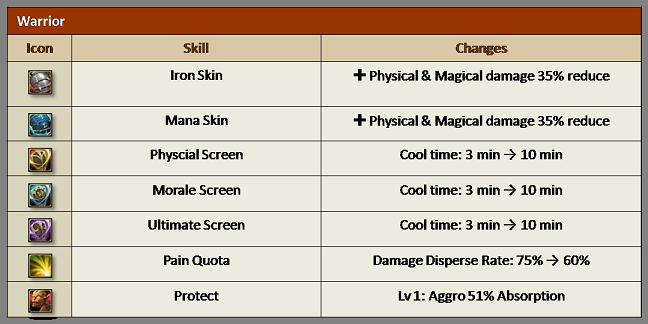 Any special need of builds? Hello, the server has some login problem at the moment. Players can't login. I'm not the server owner, so I can't help with that issue. We need to wait for GM to return from vacation. Please stay patient and keep contact within the discord chat. Thanks! 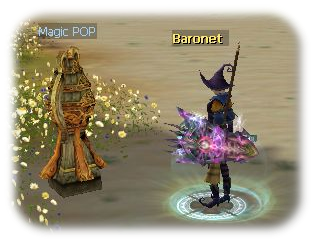 - Current Consignment Trade investment of your Job Union is shown via the Snow Flake event interface. No, it's online. This server been running since about 1 year now. 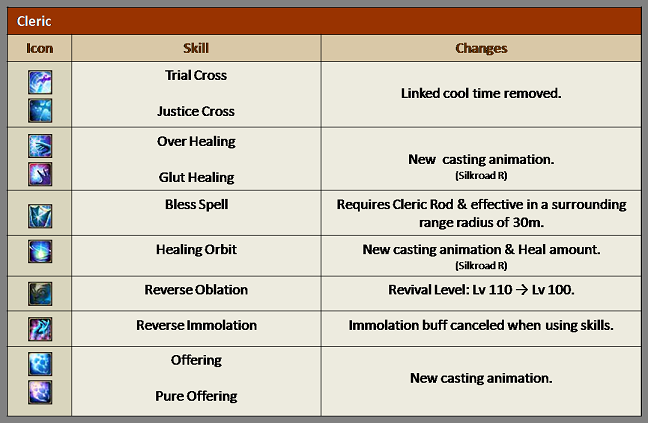 Though, during October it got transfered to files that include 2nd skill bar. 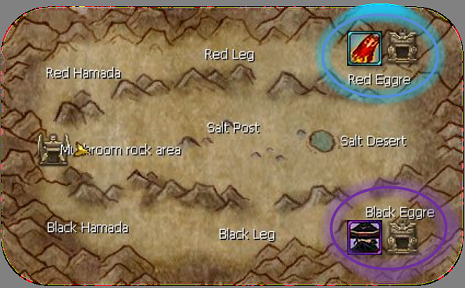 It's easy to "catch up" if you are somewhat active and participate in activities such as FGW, Job Temple uniques and Battle Arena. Oh, before you ask: yes, we need more players. Quitting cause of "no players online" just will keep the vicious circle. Be active, invite your friends, help advertise and I'm sure NGE can grow.